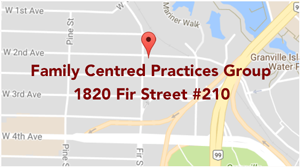 Family Centred Practices Group offers consultation to you and your child’s school-based team by our qualified Behavioural Consultants. We provide consultation, direct assistance, training and support to school-based teams regarding behavioural, educational and environmental issues pertaining to your child’s successful participation in school. Our consultants provide a variety of ABA-based services designed to increase appropriate behaviours and decrease problem behaviours that may be interfering with learning. Services may include consultation, assessments, intervention for problem behaviours and/or other educational needs. We provide hands-on training to school staff on various educational and behavioural topics. This training can be designed and delivered specifically for your child’s teaching staff and/or the entire school.